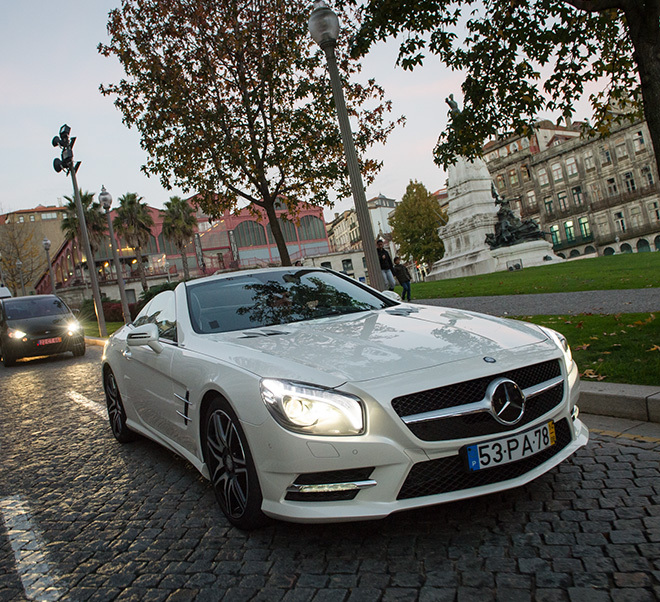 A Mercedes-Benz SL started a discovery journey in Porto. The land from which Columbus left in search of India, but discovered America instead, has plenty to show, centuries after its magnificient historical tales. 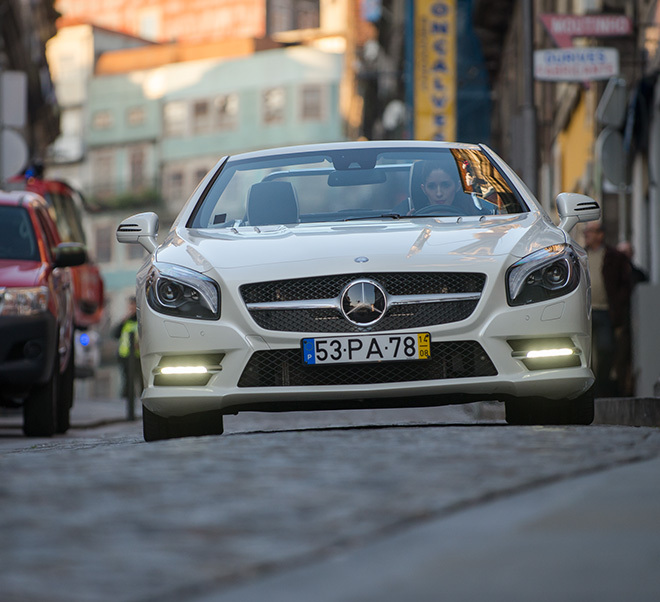 The Mercedes-Benz SL starts its journey driving through the web of narrow cobbled streets of Porto, packed with tourists from all over the world. Like many cities across the Iberian Peninsula, the capital of fine wine displays centuries-old buildings next to brand new modern minimalist architecture. A stop in a typically Portuguese cafe is quite a refreshment for the road-travelers. They order the Francesinha, a local kind of sandwich, but not the famous wine. They have to drive, the journey has just started. Next stop is Palacio da Bolsa, the almost two-hundred year old building with a golden interior and mosaic walls, where Porto’s stock exchange and commercial court were located in the 19th century. Incide the Palacio, the hectic buzz of the city completey fades out. By the evening, the over-romantic city of Porto is even more colorful, so it is definitely not the right time to back up now. 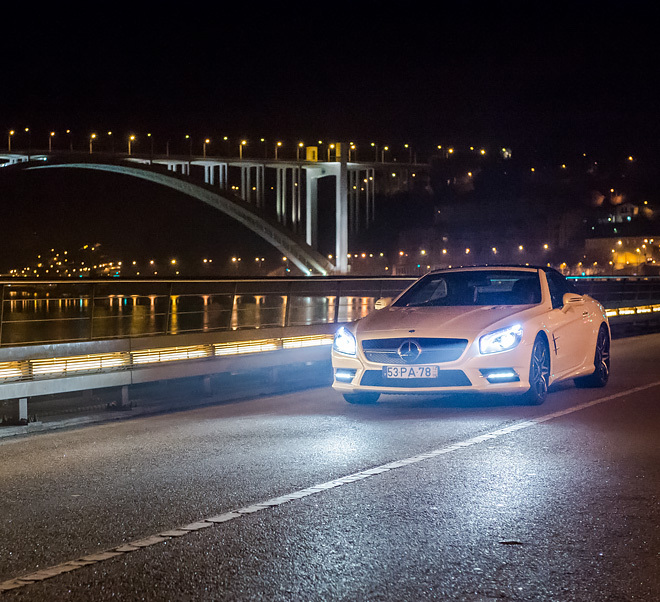 The open top Mercedes securely glides across the Rio Douro towards the Atlantic, as the tourists wish to see the ocean by night. 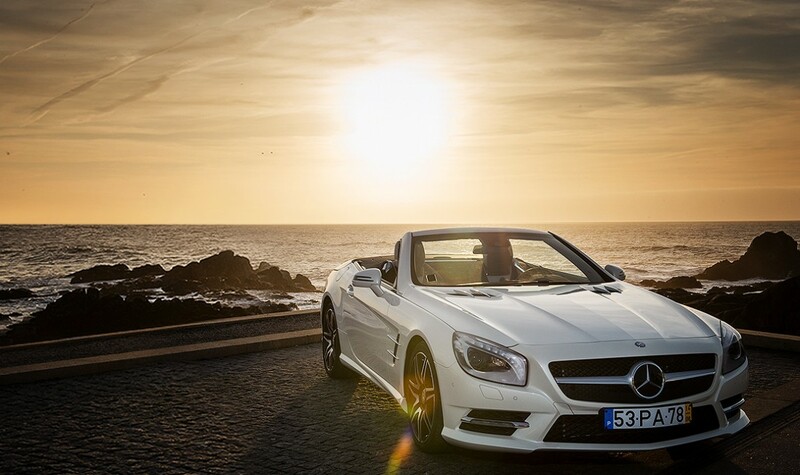 The next day starts soon after sunrise, with a stylish sightseeing tour in the bright white SL. The palacios and the window-shopping by the Avenida dos Aliados, Porto’s grand boulevard make the travelers lose track of time. As the evening closes in again, the travelers are set to go. Their 48-hour journey in Porto ends here. But the story of the SL never ends. Obrigado, Porto!